What’s cooler than Amitabh Bachchan running in slow-mo? 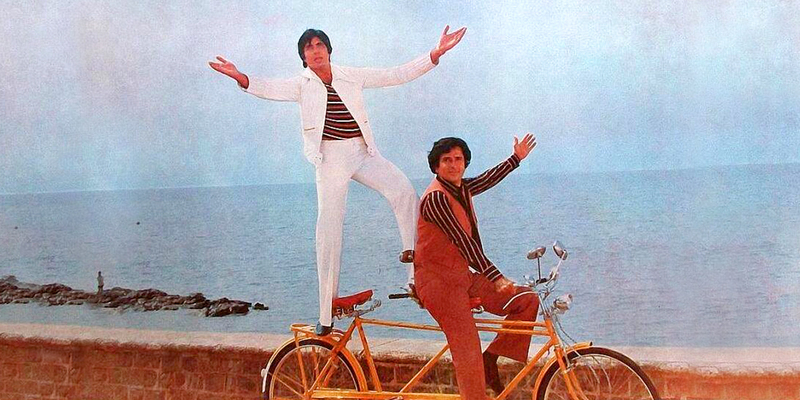 Amitabh Bachchan and Shashi Kapoor running in slow-mo. Having discovered they are better off as a team instead of trying to outdo one another, in Do aur Do Paanch (1980), donning black jackets, they run with the jubilant air of winners. I’ve got your back, they seem to hint to each other. This attitude is what defines the bond their characters share in most of the movies they acted in together. There’s more to Bachchan and Kapoor than their “Kya hai tumhaare paas-mere paas maa hai” broodiness in Deewaar. These two were wild. Well, the scripts and direction of the time were often outrageous. Those were the movies in which heroes hung from flying choppers, like in the climax of Suhaag (1979) or hijacked a double-decker bus to be with their girls, as in the song ‘Jaanu Meri Jaan’ from Shaan (1980). In Shaan, Bachchan’s Vijay even fights a crocodile and comes out alive after killing the beast. That their characters also played pranks on each other was a given. 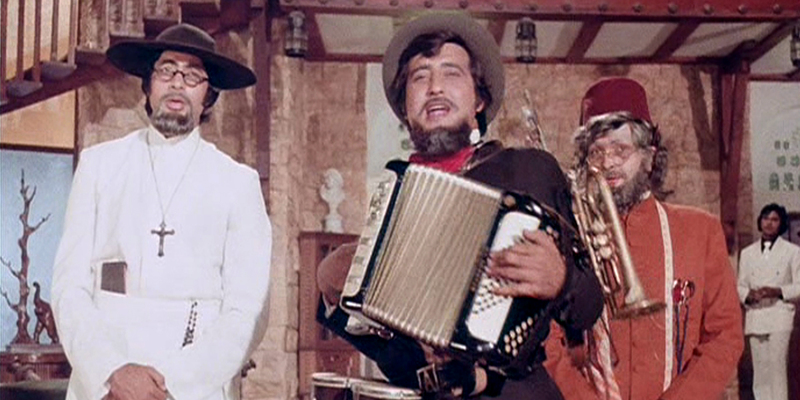 There’s the thoroughly entertaining ‘Jo Sochein Jo Chahein Woh Karke Dikhadein’ from Do aur Do Paanch, for instance, and ‘Teri Rab Ne Bana Di Jodi’ from Suhaag, with Bachchan dressed as a sardar doing the bhangra. Bachchan and Kapoor had an on-screen charisma that was unmatched and that made up for the banal situations. Dashing as they were, they infused style even into a small scene such as dancing at a party with Jaya Bachchan in Silsila (1981). The characters they played were raucous one moment, bellowing ‘Neeche paan ki dukaan, upar gori ka makaan’, and vulnerable the next, while still drunk, pained at the thought of how would one live without the other brother. They also co-starred in Yash Chopra’s excellent trilogy, Trishul (1978), Kaala Patthar (1979) and of course Deewaar (1975), all written by Salim-Javed (but the writer duo’s Immaan Dharam, 1977, makes for rather tedious viewing. Even Bachchan and Kapoor, who play conmen in it, couldn’t salvage the film). It is, however, Yash Chopra’s Kabhi Kabhie (1976), with a setting far removed from action sequences, that features the actors’ most defining scene together. One, the former lover and poet (Bachchan); the other is the husband (Kapoor). It is a quiet and unconventional confrontation over a drink, after the husband discovers that this poet and his wife (Rakhee) were once in love with each other. Backed by wonderful direction, dialogue and characterization, Bachchan and Kapoor act without any need to be the better performer. Instead, by exuding a camaraderie and mutual respect, they lift up this pivotal scene with the maturity and grace that only seasoned actors possess. Once upon a time, there were two friends. Neither were they crooks, nor were they cops. Earnest and lovable, they were professors of botany and literature. They did not make dramatic promises about dying for each other, but had a great sense of humour that they used to cover up for one another. The year was 1975, the film was Chupke Chupke, and the genius was of Hrishikesh Mukherjee. If you’re feeling listless or low and need something heartwarming, watch the song ‘Sa Re Ga Ma’ from this comedy (better still, watch the whole movie). It’s a simple song by S.D. Burman, sung by Kishore Kumar and Mohammed Rafi, and Bachchan and Dharmendra lend it a unique flavour. 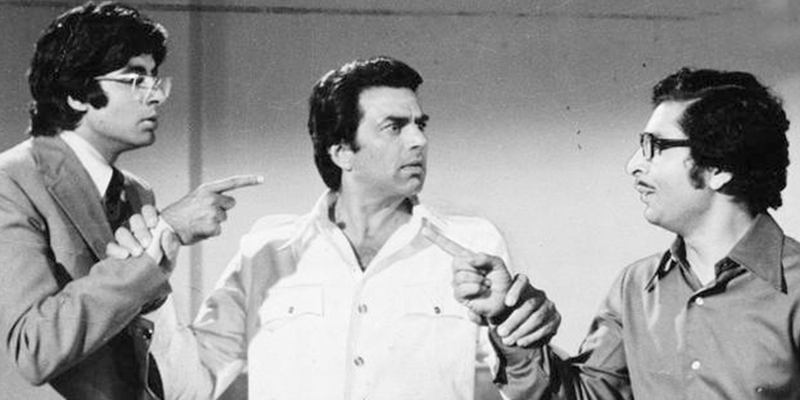 While Dharmendra’s is the key role (besides looking awfully handsome) in the film, as the bumbling bespectacled literature professor, Bachchan (besides Om Prakash) gives Dharmendra fantastic comic support. And this is also why Hrishikesh Mukherjee was a genius: for giving his supremely talented actors a break from their stereotyped personas and allowing them to showcase their prowess. PS: Just in case you want more Eighties’ type hanging-from-helicopter, check out the climax of Ram Balram (directed by the great Vijay Anand but in a rather non-Vijay Anand style) when Dharmendra’s Ram whizzes down to rescue Bachchan’s Balram, who’s at gunpoint on a ship, taking him up in the air. And not a single bullet that comes their way even grazes them. If it’s this pair together, then fight sequence toh banta hai. Hera Pheri opens with a (mock) fight between them. Khoon Pasina (with a strange and sombre Vinod Khanna) has one too. 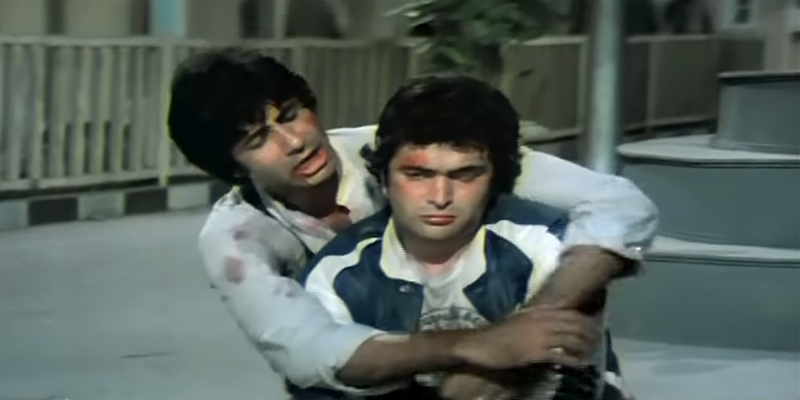 And of course, their famous fight scene is in their most popular movie together, the phenomenal Amar Akbar Anthony, in which Bachchan’s character gets totally thrashed by Khanna’s. As early as 1971, the actors featured in Sunil Dutt’s Reshma aur Shera. 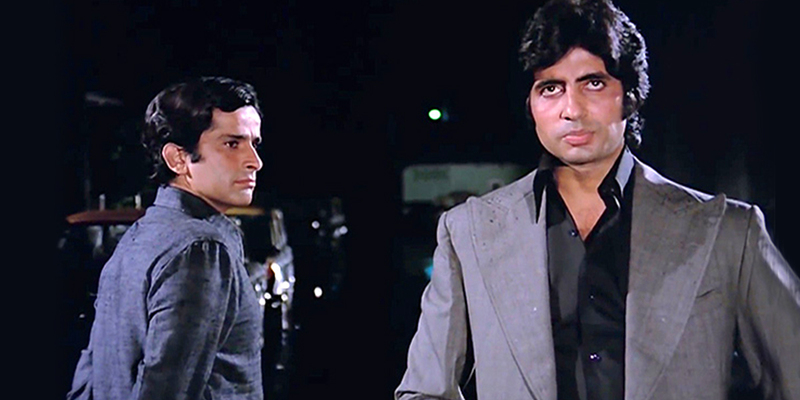 Bachchan played the mute brother while Khanna was the villainous one. They starred in a number of drama and action films of the Seventies. Khoon Pasina, Hera Pheri and Muqaddar ka Sikandar were Prakash Mehra’s productions; the last two were also directed by him. Fans of the duo would be familiar with the nuances they added to their performances together, which took their mainstream roles notches above the mediocre. Check them out in the beginning of ‘Hum Premi Prem Karna Jaane’ from Parvarish (1977). With their eyes locked, dance moves totally in sync and tremendous screen presence, the stars carry out even a 20-second dance sequence with aplomb. 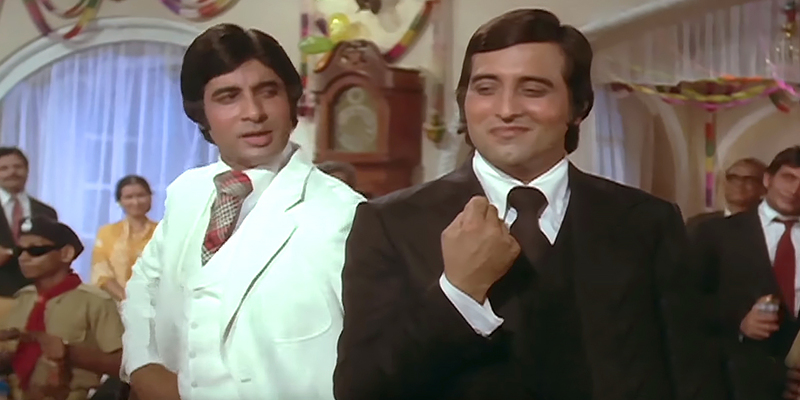 Bachchan is dressed in white, Khanna wears black, symbolizing the duality of good and bad each represents in this Manmohan Desai movie. They’re quite a tease in the song ‘Jaate Ho Jaane Jaana’, telling their attention-seeking girlfriends to please go ahead with their suicide attempts if they want to. Bachchan and Khanna could pull off the masala entertainers they acted in based on purely the chemistry they shared. It’s exactly a year since he passed away. We miss you, VK. ‘Tu jaaneman hai jaanejigar hai/Tere liye jaan bhi haazir hai,’ Amitabh Bachchan sings to Rishi Kapoor in Naseeb. If one had to pick an endearing moment between them on screen, it would be this one. Sounds corny, but it’s not. Anything goes when AB does his drunk act. The line is from the song ‘Chal Mere Bhai’ in Manmohan Desai’s 1981 entertainer in which the two play brothers. 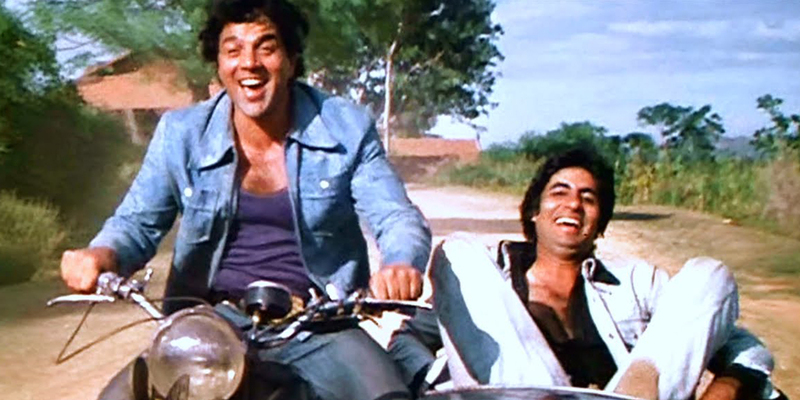 In Amar Akbar Anthony (1977) too, technically Bachchan and Kapoor are brothers. 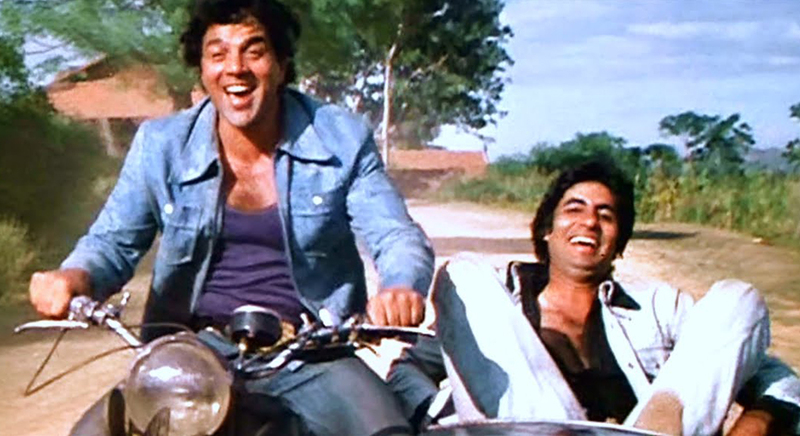 But since the director revelled in the family reunion occurring only towards the climax in his lost-and-found capers, they are actually buddies through the movie, brilliantly getting into the skin of their characters – Bachchan plays Anthony who runs a bar and gets into brawls, and Kapoor is Akbar the romantic qawaal. With a host of other characters, they add to the madness in this riot of a film. Bachchan and Kapoor were usually part of multi-starrers like the above. (They didn’t share much screen time in Kabhi Kabhie.) But their later works just didn’t make the cut, even as Manmohan Desai started losing his touch. 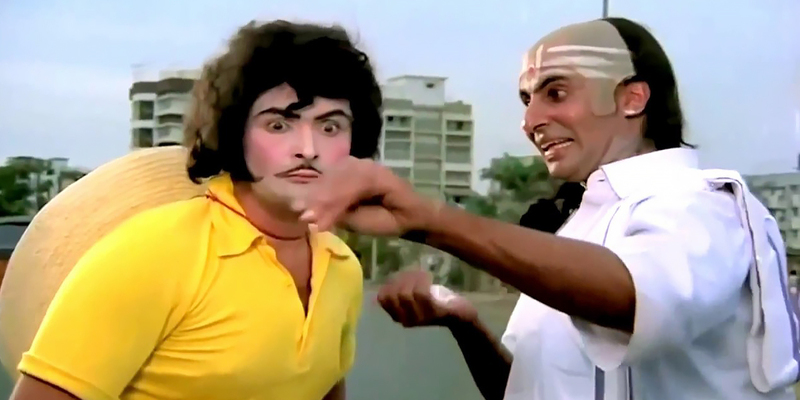 They’d given into slapstick, for instance, with ‘Lambuji Lambuji/Tinguji Tinguji’ in Coolie (1983) and things got progressively worse with Shashi Kapoor’s fantasy debacle, Ajooba, in 1991. Back together in 102 Not Out, then, they’ve got our curiosity piqued. 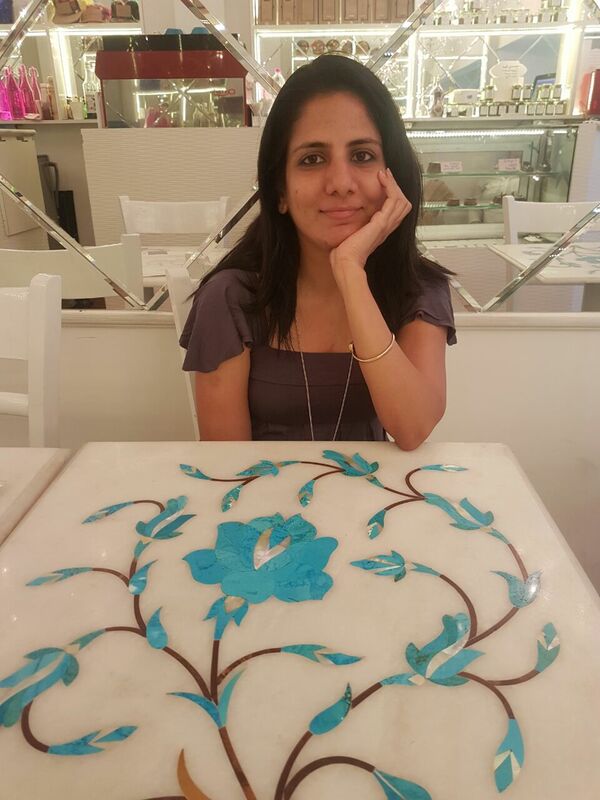 Aparna has been a Mumbai-based writer-editor for nearly two decades, an alternative healer for five years, and a Hindi-film lover forever.